Hi, my name is Jim Macdonald, and I have an odd assortment of interests. In no particular order, I love Yellowstone, I am an anti-authoritarian activist and organizer who just moved from Washington, DC to Bozeman, and I have a background in philosophy, having taught at the college level. My blog has a lot more links to my writing and my other Web sites. In Jim's Eclectic World, I try to give a holistic view of my many interests. Often, all three passions show themselves interweaving in the very same blog. Anyhow, I think it's a little different. But, that's me. I'm not so much out there, but taken together, I'm a little unusual. Aristotle makes an argument that rests on two objections. The first is that the word "all" is ambiguous. Common rule is rule by "all", but does "all" mean that we would say that each of us has a responsibility for each thing under our rule, or does "all" mean all, where each thing under our rule belongs to all of us in common, not to me or you in particular, but to us all at the same time? Aristotle presumes that by saying that if people are holding their possessions in common, they mean that they belong to us all and not that each thing belongs to each of us at the same time. That being the case, this produces the second objection. Since everyone first chiefly thinks of themselves, people are less likely to take individual responsibility for what they take to be the responsibility of everyone alike. The buck will be passed to the "all", which is an abstract entity, and that will lead to neglect because no one will be responsible. If the forest belongs to us all, who will take care of it? It would more likely be taken care if it were my forest or your forest. From there, you can see why Aristotle suggests that the best political community does not necessarily rest on common ownership of property. In a part that promises to be a refutation of John Locke's arguments on property rights, why have I started off by giving a brief overview of Aristotle's support of property rights? In Part 1, we looked at the history of the founding of Yellowstone National Park and examined how the debate in Congress depended on certain socially held values about property, and we looked at how that assumption carries through to the issues of today. In Part 2, we examined the defense of property rights by John Locke, and we connected the thinking to the issues considered in Part 1. This part promises to be a refutation of Locke's view on property rights, and so why do I begin by considering an argument by Aristotle? 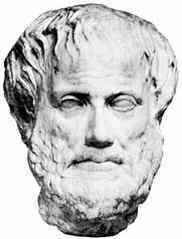 It is interesting to consider Aristotle because we can be confused by the scope of the project I am undertaking. As I have said before, I am not arguing that common ownership of property is better or worse than private ownership of property, which was the kind of argument that Senators Cole and Trumbull were having and the kind of argument that Aristotle here thinks he is having with Plato, but rather that there is simply no right to property. Wherever you draw the line of "private", whether you consider "private" to apply simply to an individual, to a business, to a corporation, to a government agency, to the entire government, to all the people on the planet, or to all the beings on the planet, there is no right to property. I have attached the adjective "private" to "property" in my titles not to specify which type of property one might have a right to but rather to note the ambiguity of scope when one says that one owns "property." Who owns the property? Whether collective or individual, there is an assumption that the property is owned and furthermore that there is a right to it. Aristotle's disagreement with the perceived Plato's calling for holding all women and children in common and Senator Cole's disagreement with Senator Trumbull that Yellowstone National Park should be set aside in the public domain do not speak to the ambition of my own project, which is to claim that the right to property is a dogma. In Part 4, we will see that the word "private" has another significance in our discussion of what ethics in Yellowstone means in a world void of property rights. John Locke has attempted to convince us that there is a right to property. Property is that which belongs to us after we have mixed our labor with it. When the land just sits there, it belongs to no one (or everyone alike, which amounts to the same thing). When I till the land and grow a crop, the land and its crops belong to me so long as I am not wasting it. Locke argues that the property is ours through our labor because we as humans have been given reason to make the best advantage of our lives, that Earth has been given to humans for that purpose, and that there is no way to make use of the Earth without dividing it in such a way so that its fruits can be useful to particular individuals (see Part 2). Where Aristotle talked about the problems of ruling "all" individuals, Locke has told us that the "all" is of no use to individuals unless taken by individuals. That individual can be you or me, or it could be a government, but it has to be divided somehow. In that sense all "property" is "private property" in the sense that property is taken from the collective pool of humankind and applied to some particular individual (even if that individual happens to be a collective of other individuals). This seems reasonable in that there is no way that I can possibly eat a fruit unless it's me who eats the fruit. We cannot all possibly do so. This item or that item is of use to me or you, not all items for everyone all at once. A notion of property seems to arise from the simple fact that we are already individual and particular and therefore have individual and particular needs. We can be on a baseball team, but the individual baseball team needs individual outs to get to the next inning of play, not the same outs of all baseball teams in all possible baseball circumstances. Or, if you don't like or know baseball, we can be building a house. Some parts must serve individually as the roof, others as the base, etc. It is appropriate that some parts of the house belong in one place and not another. It would be absurd to say that all parts belong to the entire house in the same way all in common at the same time. Property, based on that understanding, is what identifies our own particular uniqueness. Let's look more closely at what property means. In the broadest sense, a property is something that belongs to something else. It is "of" that thing. Putting aside John Locke's particular definition of property as that which belongs to us as a result of our labor, in the broadest sense a property is simply that which is of something else. I have two eyes; these are properties of my being. I am human. I live in a home with other people. I live in the United States of America, and I visit Yellowstone National Park. I have two sisters and two brothers. I am shorter than the tallest skyscraper. These are all in some sense properties of me because they can be said "of" me and can be said truly. I could not possibly exist as a being if there was nothing that could be said "of" me. In a broad sense, my property is infinitely broad. You would never run out of things that could be said of me, that make me who I am in any number of particular contexts. In the narrow sense of John Locke's definition, property is not simply that which can truly be said of us, but that which is ours after applying our own labor to it. Yet, what's true of the broad sense should also be true of the narrow. If I planted a field, what is wrong with saying that the planted field is mine? Surely, it could truly be said of me that the field was planted by me, that without me there would be no such field. It is properly speaking mine. We are about to find ourselves in one of the riddles of ethics, however. While it may be true that almost anything might be said of me, that is, be a property of me, and it might be just as true that a field I plant through my labor might also in the narrow definition of property be said to be mine, it does not therefore follow that it should be mine and that therefore I have a right to it. It is one thing to say that without individual properties there could not be individuals, it is quite something else to say that there is an ironclad right to that reality. By what right do I exist; do I have a right to say that something is exclusively mine, and that this should not be otherwise? Let's look at it another way. If a community of bees sets up a hive in a tree and produces honey, is the hive and the honey it produces the property of the bees? Based even on the narrow definition of property that Locke gives, that honey would be the property of the bees that they produced through their labor. Yet, John Locke would be the last person to tell us that the bees have an ironclad right to the honey. They would lack that right because Earth has not been given to them for the purpose of making the best advantage of their lives. It was not all bees and humans who have been created equal through the capacity of reason but rather all humans who have been created equal. The right to property for Locke does not simply rest on a definition of property that depends on the use of labor; rather, it also depends on who most deserves the fruits of that labor. The class of humans, those with reason, are considered the most deserving in themselves, over the class of bees or any other being who may also use their labor. Locke's views on a right to labor, then, first depend on proving that humans are the only beings with a right to property. It also depends, therefore, on proving the argument that those with reason have greater right to the Earth than those without. We shall consider those arguments in time, but let's continue to draw out more implications in Locke's view. Supposing that the question of human entitlement to the fruits of the Earth could be supported, Locke is also arguing that labor in particular, when mixed with the Earth, is more valuable, so long as there is no waste, than that which has not been touched by labor. Remember in the case of Yellowstone how the Congress needed to be convinced that there was no other value to Yellowstone besides sightseeing before they would assent to it becoming a national park. America the wasteland where Indians leave it alone was not as good as America the beautiful covered in fruited plains. However, why is labor considered so important that it becomes the defining characteristic of what one should call someone else's property? Locke goes to great pains to talk about the value of land that has been cultivated over land that has not because of the general use for the individual in particular and humanity at large. Land that has been mixed with labor can provide more food, clothing, and shelter than land that sits there. Without labor, then, one might argue that there is no life, since labor alone can provide for life. Yet, that is something of a truism. One cannot be unless one does. That is, there is no life without movement, no being without doing. Even the laziest person cannot stay alive without doing something. The question then is not whether labor has something to do with our being alive, but what sort of labor is most valuable. Is it labor which sustains our own material lives? Is it labor which sustains the lives of others? In short, Locke is not simply saying that labor in itself gives a human being a right to property but must be saying that a particular kind of labor gives humans a right to property. If the former were the case, he would not have said that the land in America used by the Indians was worth so little. So, though being human gave Indians a right to the fruits of their labor, their labor was still inadequate to claim rightful ownership over the entire continent. They were, in Locke's eyes, wasting the land. Yet, this begs the question of what "waste" is and what the "proper" use of land is. Property seen through these eyes is the determination of the "most proper" use of land that has actually been carried out by someone's labor. Think of squatter's rights. If you didn't bother to kick someone out of your land, they have more right to it than you because they are actually using it to some purpose. Yet, who is to say that the squatter's use of the land is therefore just? What is the metric of value? Is it simply that it is being used for more personal benefit than the person who previously laid an ownership claim to the property? If that were the case, then anyone who claimed to have a better idea with what to do with something might make a rightful claim to property. Locke gets around that by talking about commonwealths and political society where laws put a stop to such practices, though such would hold in the state of nature surely. So, either governments will choose the proper use of property, which has yet to be defined by anyone but the governments themselves, or those individuals (governments, collectives, private individuals) in the state of nature will simply fight it out and leave to God who was right and who was wrong. However, all this is to say that determining the value of one being's labor over another's is still essentially an arbitrary practice. Can we really know that a North America with smaller farming and hunting communities, with generally fewer urban centers, was using land more wastefully than the more highly populated Europeans with their more advanced technology? We can say one or the other, but all will depend on what is considered wasteful. And, so far, there is no argument that prevails that says that one way of using and doing and working is fundamentally better than another. Just because one might get more in a market only tells you something about the relative value that those who have power in a particular market place on something, not whether there was some natural ironclad right to the thing in question. Thus, lacking any meaningful scale on which to determine valuable labor from wasteful labor, using labor as the critical differentiator between what makes something someone's rightful property is simply artificial and therefore dogmatic. It has no grounding in reason because there is never any contradiction in asserting that someone else's use may be just as valuable. That people can and must appropriate things to themselves by use of their labor no one can deny, but that one has a right to anything that one has appropriated to themselves is easily denied. Just because one must do something does not therefore mean that one must therefore do this or that particular thing. This is a bit like turning Aristotle's point on its head. While there can be no "everything" that at the same time applies to "each thing", it does not tell you "what" thing in particular is the right thing that one can and should do in a particular situation. Given that it is not possible to understand the implications of any act as it relates to everything in the universe, it is not possible to determine the best or highest value of a particular act as it relates to all values since one cannot at the same time determine whether something else might have been better. In building a house, one may determine one may need a roof, and some materials will work better than others. However, when talking about natural law, we aren't talking simply about our actions in building a house, we are talking about our actions in terms of everything else that might have been done. Yes, act we must, do something we must, and these things in a broad sense will be properties of our acting, but to say that we have a right to anything we have done just because we have done so or can determine what was better or worse in terms of acting within something as broad as "natural law" is an impossibility. We act, but we do not know whether we act for the best, and so we cannot claim any property right to what we have done. All we can say is that we have done it. For much the same reason, we cannot hold the life of a human being as being worth more than the life of a bee or even those beings which are not alive. Any being's identity comes from a kind of activity. Even a rock that sits there moves, as any physicist will tell you. When we are holding up the value of human labor, then, we are holding up a particular kind of doing. Locke tells us faintly that it is because of our reason that we are given the Earth, presumably because reason is more valuable than anything else in terms of all things related to truth. This I cannot deny because we could not talk about true or false without reason, and if all things were equally valuable in terms of truth, then we could not even so much as speak with each other since all opposites could just as likely be true. Yet, the value of reason is not in question; what is in question is whether possessing the ability to grasp reason is a value so great that the doing of the person who has reason makes that person's actions more valuable than the being without it. Is a rock's sitting worth less than a rational human's polishing it into a diamond, or a bee's making honey? Yet, just because one has reason does not mean one can always know what one should do with it in a particular situation. As we have already seen, we cannot determine whether it is better to build shopping malls in America or to reintroduce wolves or to leave it to "nature" to run its course -- that is, we cannot determine the absolute value of our labor--our reason is of little use to us in determining whether this person or that person should live, or whether this person should be here and that bee elsewhere, or whether this rock should be polished into a diamond. We simply do not know the answers to these questions and an infinity of other contingent things, and so we cannot determine whether our own doing is worth more than the doing of a rock or the doing of a bee. At times, we will pick up rocks and throw them, but we cannot say whether we had a right to do this simply because we had the capacity to recognize reason. In fact, it's because our capacity to recognize reason that we understand that there is no reason to presume that we have any more reason to live than the rock has to stay still or extracted from a quarry. Maybe, the bee has no right to its honey, but we have no right to it either. We may taste the bee's honey, but any claim to a right to it on the basis of our humanity is arbitrary and therefore dogmatic. The ability to recognize the necessity of a value -- reason -- does not therefore imply the entitlement to the fruits of one's labor. And, even if the property of reason made humans more valuable by simple possession of that quality, it would not in the least tell a human what she or he should do in any given circumstance. It would be a vacuous value without application. Therefore, when John Locke argues that humans have a right to property, he is greatly mistaken. There is no justification for a right to property. Beings have properties by necessity; they must and will act by necessity and appropriate properties of themselves. In the broad sense, those properties are limitless in number. In the narrow sense of defining property on the basis of our own labor, those properties are also infinite. However, we cannot see from the fact of property, from the necessity of the world being divided and sub-divided for the use of beings, that there is any right to any particular property that any individual (single or group) may appropriate. There is no right because no one could possibly prove that another set of possibilities might not have been better; therefore, there is also no exclusive human right to property either. Perhaps, though it is hard on the ears, Yellowstone might be better as an amusement park run by the Disney Corporation. We cannot really say; there is no exclusive right to say that it is better as a sightseeing location operated by the National Park Service under authorization of the Congress of the United States of America. Perhaps, the Sheepeaters weren't making the best use of Yellowstone by hunting bighorn sheep, fashioning bighorn bows, or that other Indians were wrong (or right) to mine obsidian from the Obsidian Cliffs. How anyone can say absolutely or with any sense of probability is beyond me; it is beyond the realm of our reasoning capacity to consider the infinite possibilities and determine what is appropriate and therefore rightful. We may dearly want all kinds of things for Yellowstone, but we have no right to it, either as a public or as corporations or as individuals. Even if Aristotle is right in saying that without some individual ownership that there would be no ownership at all, we still cannot even say that that state of affairs might not be the best state of affairs. One reason it is so very tempting to put my harsh conclusion to the side and follow John Locke is because Locke gives a kind of roadmap for ethics that seems easy given the practical reality. Given the way that governments actually govern and the way that individuals actually do appropriate land and things for themselves, it is far easier to manage behavior if we can say that what actually is the case is the way things should be. It is a lot easier to tell someone to pave the road if roads are already being paved. In an America where I type on a computer that makes use of electricity that comes from an electric plant from coal that has been removed from a mountaintop, where my clothes and bedding comes from overseas, where I move freely through political boundaries that have long been established, where I live with innumerable privileges, it can be tempting to say that this is how the world should be and that that is right. However, for others on the other side of the privilege equation, who live at the cost of what's "right for me and my people," that truth is not necessarily so clear. On the homeless benches, among those dying of AIDS, among those in many parts of the Global South, of the Lakota in Pine Ridge, of the livestock caught between a war between environmentalists and ranchers and wolves (who don't even realize they are fighting), the assumptions that this is right seem to ring much more hollow. Locke's version of events has been tempting for those who lived in a society much like Locke's looking to justify the colonization of America, but it has always looked otherwise to those who did not enjoy the fruits of that conquest. If one puts the fruits to the side and considers the justification for those fruits, it falls far short of being rational. So, though it might be tempting in this world built on property rights to hold up that right for the sake of convenience, we cannot justifiably do so without forsaking the one value that we must acknowledge when it comes to truth, that being reason. There is no right to property, whether exclusively private or held in commons by some collective; that right is dogma. We are now forced to confront what sort of actions we should take in a world where determining the value of the outcomes of such a world is impossible. Many have held up rights as being necessary for a system of ethics. If we cannot determine who and what are more valuable and therefore have rights, property or otherwise, then it is assumed that there is no such thing as a just action. And, if there is no such thing as a just action, then there is no reason not only for Yellowstone National Park but also for anything we do or have ever done. What is ethics in a world without rights? That is the question, of course, of the final part of this series of essays. Part 1: Who gave whom the right to create Yellowstone National Park? Projects stalled in Yellowstone - Privatization coming? As you know, I have always had the greatest problem with property rights. While many people would at least claim that they are against other human beings being property (although they still support a system which contains slave labor and the worst kinds of oppression), most have no problem with animals being property (even those most beloved animals, pets, are considered property by their "owners"), or plants, or land. I, however, even object to the idea of material possessions being property. Yes, for all practical purposes I can say that this chair is "mine", but this chair has an integrity of its own, a being, that is independent of the purpose for which it was created. That goes for everyone and everything. That is one reason I object to the idea that we all must be useful, or use our talents to fulfill a role in society for which others believe we are suited. Consequences and results are valued in this society beyond all else, it seems. That is the almost unquestioned rationale for animal vivisection: Even if countless animals suffer abysmally, if there is even the smallest possibility that all this suffering will result in a cure for such and such disease, it will have been worth it. Why doesn't anybody have the courage to say: "It is horrible what we do to these animals, who suffer and cry out in pain, I will have nightmares about it for the rest of my life, but I still want to continue testing because in the end I have more emotional attachment to my family than these animals and this may indirectly have a chance of helping them in some way"? That would at least be more honest, rather than proclaiming a fundamental entitlement which simply isn't there. I know it seems that I am straying from the property argument, but I see this as tied in. There is an unquestioned assumption in our society that if we can put something to a good enough use, then we are ethically entitled to it. Therefore, all a businessperson has to do is posit a noble-enough sounding reason and he/she is allowed to get away with murder...literally. Thus, our abominable actions become our deserved property, and not only that, they are championed. Another point I wanted to respond to is when you suggested that Locke believes humans are uniquely entitled to property due to our reason. I am actually skeptical that reason is even what he is interested in, considering that he doesn't believe Native Americans are entitled, or as entitled, to the land, and they certainly have as great a capacity for reason as Euroamerican settlers. I am proposing that reason truly isn't his concern at all, but rather, people who are interested in acting out this mythology of Man as Great Conqueror of the Planet, Tiller of the Soil, Emperor of All Living and Non-living Beings. Most, or all, Native American cultures did not live with these pretensions, and therefore Locke was not interested in them, perhaps did not even consider them fully human. Therefore, mental capacity and reason are not the qualities which bring an individual entitlement to property, but rather, the quality of holding the belief that the entire planet is here for humans to conquer, occupy, and do with as we will. Once you hold that belief, you become worthy of every material, social, political and spiritual privilege offered by Locke and many other Western thinkers, scientists and religions. I agree with you very much and I thank you for adding to this discussion here. I think the Indians are quite the enigma for Locke. He acknowledges that all humans are equal in respect to their reason, but not all humans are equally deserving. For Locke, Indians lost their claim to the land because of how they used it, not for any racial reasons (at least that I can see from the text). And, that fully supports your point, then, of the "mythology of Man as Great Conqueror of the Planet, Tiller of the Soil, Emperor of All Living and Non-living Beings." He would have taken it as rather obvious that the tiller of soil is more productive to everyone (who deserves it...first, by the type of being they are, secondly, by those who have upheld natural law). And, that's what makes Yellowstone a peculiar enigma in the property rights discussion. Yellowstone was not land that was good enough for this ethic, though certainly several tried to adjust the borders for various reasons (especially to reach mines outside of Cooke City). Yet, the people who wanted to "set Yellowstone aside" still needed to use Locke's game in order to defend themselves. And, we still do it today. I also, as you know, agree with you that property rights do not extend over anything. We may claim anything as property; and we will (in the broad sense that anything attached to us a predicate belongs to the subject), but a right to it? No, not even the very molecules in our fingers are rightfully ours. They simply are ours. Locke was an empiricist, but he is beholden to all kinds of abstract realities that don't exist, rights among them. The empiricists who came after Locke noted this in his scientific thinking - first Berkeley and then Hume, and criticized Locke for it. Yet, few have noticed that the concept of "rights" is also an abstraction with no connection to our common sense. It's a term we learn and become habituated to; either because we wish to be "conquerors" or perhaps more sympathetically because we feel neurotically insecure about our fate (which may be the same thing - Plato was right when he said that the tyrant was the most miserable person of all). We have reason to be insecure, but the invention of a "right" simply compounds the matter. And, I use "right" and not "property right", but I'm not sure it makes much difference. I still find myself standing with those who advocate "animal rights" or "human rights" or "women's rights", though I think at some point that needs to be challenged. I think, though, that the assertions of these relative rights - that is, "you shouldn't have rights if I don't" - are in some ways just a rebellion against all rights. They simply chip at the privilege. The problem, however, is that the temptation in claiming you are fighting for "your rights" is that you don't see the full scope of the fight, and then you simply end up too much like the oppressor you oppose. If you fight for women's rights, but you're still a racist, are you really any better off? Anyhow, thanks so much...there is a wealth of insight here, and I hope that readers will pay attention to what you've said so well. You present a lovely argument and I thoroughly enjoyed the time spent reading and digesting it. I'd say Locke makes a few pretty huge assumptions about reality but the largest by far is that any human, animal, plant, or ecosystem has any rights at all. I assert there are no rights save those one or others acting on your behalf can through force or threat of force require relevant parties to recognize. As a result humans were not born with rights, did not band together/give up rights to the state to better protect existing rights. The formed groups to create rights, economies, and laws. I've posted a longer piece on my blog on this topic. Also I recommend that, if you haven't, you give a book called "On Private Property" a read. Are you arguing something like "might makes right"? I suppose so, but that only opens another Pandora's box - what then is might exactly? And, there, we "might" find some interesting conversation. I'll definitely look into what you wrote in your blog.